Most businesses out there, want quick and easy SEO, they want high rankings on Google and they want them now. Possible? Well in theory yes, it is possible to rank your site quickly using link farms, by buying links from high PR pages or some other questionable SEO technique, BUT – How long, you think, you will keep this ranking? The problem with those methods is that they all will get your website banned completely from Google’s search result pages sooner or later – that’s the real price of these quick and easy SEO solutions. Google’s algorithms, including latest Panda 2.0, is very complex and ‘smart’, and can easily detect spamming methods. It will take an SEO expert to truly understand and follow today’s search engine rules. 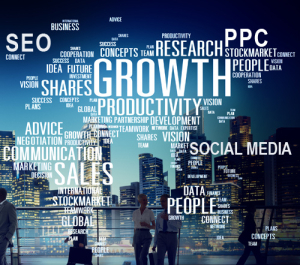 Benefits of hiring our, professional and local to Ft lauderdale area, SEO company is that once we place you on first page of Google searches – YOU WILL STAY THERE! Conversion driven internet marketing company with a strong focus on Search Engine Optimization. PPC (Pay Per Click) campaigns. We are Google Adwords and Google Analytics certified. ROI (Return On Investment) calculations and analyses. Completely Traceable: Call tracking, conversion tracking and form submission tracking.